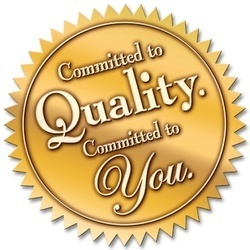 We firmly believe that quality is a result of organized and sustained effort. To survive in this era of cut throat competition, quality is an aspect we resort to. Our organization continuously tries to improve the quality, and hence follows a well-structured quality control system. We have committed ourselves towards achieving complete client satisfaction, and ensure the quality of products through various tests. Only high-grade raw material that is procured from reliable vendors is used for manufacturing the range, which ensures authenticity of our range. The entire production process undergoes rigorous quality checks at various stages to guarantee high Multi Range of Storage Systems quality and satisfaction to the clients.